Sleek, elegant, and SAFE! 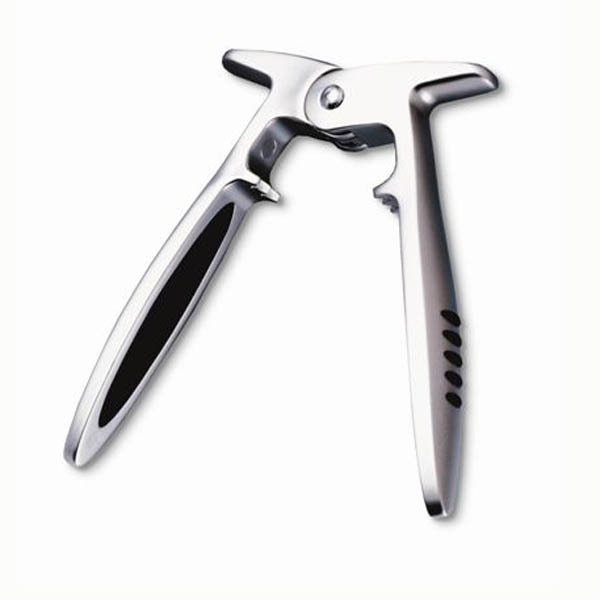 This opener is part of the SWIFTPULL® family of hand-held uncorking equipment. This easy-to-use champagne opener will provide the perfect finish to your SWIFTPULL® collection. Rubber perforations through the handle assure a positive non-slip grip. The SWIFTURN® prevents eye injury from flying champagne corks because the cork is captured before the wire muzzle is broken and twisted. Satin nickel finish.